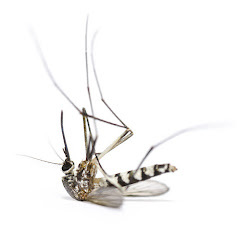 Mosquito Squad of Lake Country offers both traditional & all-natural pest control for the exterior of your home & dock if you are on the water. We serve Lake Gaston, Kerr Lake & surrounding counties including Clarksville, South Hill, Farmville, Kenbridge, Victoria and Blackstone. Our team targets mosquitoes, ticks & spiders allowing you, your family, your pets & your guests to enjoy Outdoor Living at its best! We get excited when your our customers take the time to review us on Google+ or Facebook - thank you for taking the time out of your busy schedule to tell your friends and neighbors about us! Are you in need of mosquito and tick control? We are ready to serve you! We are thankful for our many customers who have already signed up for the 2017 season! Can't wait to get you started! Wonder what makes us special and different than the many other companies out there? When it comes to eliminating annoying mosquitoes and ticks from your backyard and to stop the spread of the awful diseases they transmit, there really is only one choice – the original – Mosquito Squad. Having invented the Protective Barrier Treatment in 2005, millions of treatments have protected more than 100,000 families from mosquitoes and ticks. And while some wannabes attempt to imitate Mosquito Squad, they simply can’t, because The Squad is driven by four key fundamentals: Passion, Service, Education and Giving that set them apart. Having passion for what you do makes all the difference in the world, and The Squad lives that every day by protecting families from the nuisance and dangers of mosquitoes and ticks in approximately 200 locations across the United States. What is North Carolina doing about the mosquito problem? Unfortunately, it appears the state of North Carolina may be slightly behind in terms of mosquito preparedness. Read this article on what is happening here! We just joined the chamber in Clarksville! We are happy to be new members of the Clarksville Lake Country Chamber of Commerce! The link to our business listing is here - please check us out and if you are looking for other services in the Kerr Lake area, please also start your search here at the chamber website! The NC Department of Health and Human Services announced the first travel related case of Zika Virus in North Carolina. They indicated the patient is an adult who recently returned from traveling to a Zika ravaged country. It is imperative to plan your mosquito control program before the season begins. Call us today to get started! (434) 636 2250. We continue to monitor the incidence of Zika Virus cases in both Virginia and North Carolina. Just this week, Governor McAuliffe in Virginia created a task force putting the Virginia Department of Health in charge and ready to serve the people of Virginia. We encourage our customers or those concerned about mosquito-borne diseases to prepare for mosquito season before it starts! Call us today to get on our spring schedule - (434) 636 2250.